The consent to search law will change the way certain police searches are conducted to help end unconstitutional searches. 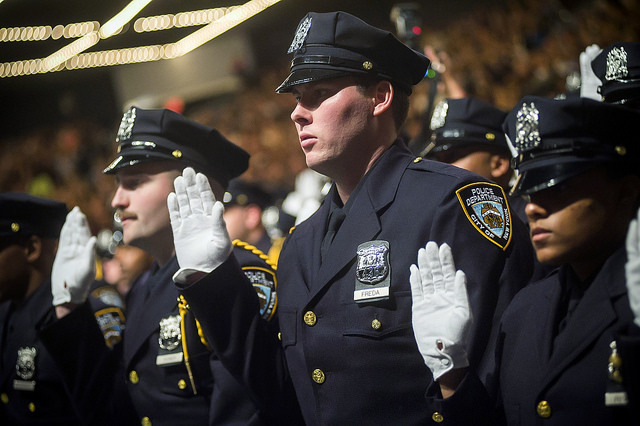 The new law requires that when there is no legal justification for a personal, home, or vehicle search (like a warrant or probable cause), NYPD officers must explain to the person they would like to search that they have a right to refuse the search, and their consent to the search has to be documented. The NYPD identification law will require officers to provide basic information to the person they’re interacting with in writing, including the officer’s name, rank, command, and a phone number to be able to submit complaints or comments if no arrest is made, as well as a specific reason for the interaction. Interactions that are covered by the law include street stops, home searches, most roadblock and checkpoints, and questioning of crime survivors and witnesses. Many people reading this might assume that such basic information provision is already a part of our policing system. But these steps were previously absent from law, which has resulted in serious problems. This legislation is a vital part of restoring accountability and transparency in the NYPD, thus keeping communities, especially communities of color, safe from the harmful and abusive policing they are subjected to on a regular basis. The Right To Know Act is a milestone not only for its content, but for also for its origins. This legislation started with community members impacted by police abuses and is the result of action from more than 200 organizations involved in Communities United for Police Reform (CPR). The charge in the City Council was led fearlessly by many Council members who also felt that the problem was personal to all New Yorkers. Our advocacy was inspired by those who have been devastated by the status quo. Mothers like Constance Malcolm and Gwen Carr, who lost their children to police violence, gave us hope in their willingness to demand action. Now, children coming home from school will know that the police are not permitted to scare them, like by forcing them to open their bookbags and display the contents without reason. But too often our work faced significant pushback from those most critical to our success, including our mayor, who has promised time and again to improve safety and police-community relations, and leaders of the NYPD. The Mayor’s Office scheduled a hearing for the Right To Know Act on the evening that Erica Garner was buried – knowing full well that many critical advocates wouldn’t be able to attend. The NYPD has missed countless opportunities to engage with CPR on how the Act would be implemented – in fact the department didn’t meet with us until last month, violating the law’s provision that community be consulted in advance of creating guidance and implementation. It has since refused to make any of the necessary changes to its internal guidance to officers that would bring them in compliance with the Right To Know Act and help ensure our communities’ rights are protected. Department leaders then turned around and said that we had “unprecedented” access to materials, and that they had already consulted with the community. This was untrue. And as the bill went into law, a Patrolmen's Benevolent Association spokesperson even referred to reform as a “burden” on officers. Those kinds of comments undermine the gravity of this law and hardly inspire confidence in the NYPD’s willingness to honor and uphold its effective implementation. NYPD materials still lack clear, coherent language on some of the details required for police to implement the law. And there is mounting evidence that the NYPD is hardly trying to implement the bill in its entirety. It’s crucial that the NYPD and Mayor de Blasio focus on implementing and enforcing the Right to Know Act properly, and provide guidance and materials needed to ensure that NYPD officers follow these new laws. But regardless of their actions, CPR is prepared to educate citizens on their right to know in order to ensure that the NYPD does not violate or obstruct that right. While the law going into effect is certainly something to celebrate, we clearly have much more work to do. The final version of the police identification bill included numerous carve-outs and exclusions that were universally opposed by the Right to Know Act coalition of more than 200 organizations. This legislation is one step of many in the path to true safety and justice for all New Yorkers. Passing reform-oriented legislation is crucial, but we must also critically examine and abolish harmful and unjust legislation. For instance, laws like ‘50A,’ which continues to protect the officers who killed Eric Garner, need to be repealed to achieve the goal of full transparency. Today, the Right To Know Act is a symbol of the work we have done, but also of how far we still have to go. We are grateful to the community and the City Council, to New Yorkers for raising their voices, and to those who will continue to speak out against unnecessarily harsh policing. Together, we’ve made history. Let’s continue to do so. Monifa Bandele is a member of the steering committee for Communities United for Police Reform. She is also Senior Vice President and Chief Partnership & Equity Officer at MomsRising. On Twitter @monifabandele.